Under the rubric of ‘free market’ globalization, a transnational capitalist class is transforming the world. Snoopman investigates a black-hole that the world’s media missionaries fear to voyage to. Our intrepid editor finds out why and how the world’s key oligarchs, or the super-rich, are directing a covert global neo-colonial project. Vive la Revolution! Snoopman calls upon the world’s ordinary people to dismantle the global neo-colonial project (AKA globalization). Directions for Use: We take the reader on a perilous journey involving time-travel in an effort to understand a black hole unexplored by the world’s major news outlets. Its dark matter, known to space physicists as historical context plasma, is frequently manipulated by news media organizations when they convey its barest atomic structure. We advise an open-mind, ambient music and a beverage. Today, ‘free markets’ are still promoted with a positive image by many of the world’s major media outlets, prestigious business schools and dominant governments. This promotion continues despite the fact that the world’s richest people have accumulated vast fortunes, at a time when the majority of people are burdened with economic poverty. For example, in their “Wealth Report 2012,” Knight Frank and Citi Private Bank found that the world’s richest minority population, with a net worth of $100 million or more, called centa-millionaires, numbered 63,000 and possessed $39.9 trillion in wealth. They come in various pigmentations. Mostly, they are white, male and bald, and were last seen leaving posh restaurants everywhere. A rich, bald mans’ world: 63,000 centa-millionaires possess $40 trilllion in wealth, while 800 million people starve. Amid this opulence, Raj Patel showed in Stuffed and Starved that there are 800 million starving people, partly because they are so poor. But, mostly malnutrition and starvation continues unabated because the world food system is controlled by transnationalized cartels of corporations that dominate food production, distribution, marketing and its finance. This fact alone ought to alert to us that through capitalism’s 950-year history, people have been steadily dispossessed of land and, therefore, stripped of the capacity to maintain their own economic systems. In the present era of transnational capitalism, the ‘free-market’ economic model is often associated with ‘free trade’ agreements between countries or groups of nations, innovative solutions and more consumer choice. News stories typically emphasize that ‘free markets’ reduce red-coloured tape. This depiction works as a short-hand to signal that ‘evil’ communist tendencies of excessive, expensive and inefficient bureaucracy have been overcome. The world’s major media outlets also regularly air or publish stories that valourize technological breakthroughs engineered by teams of happily eager, professional geniuses. Such glowing treatments essentially market the developments of ‘the market economy’ with no cost to the corporations featured. Additionally, news anchors almost audibly breathe a collective sigh of relief that there is no need to put up with the scratchy old film and washed-out glitchy video-tape days, when autocratic states dictated how public enterprises should mass produce the same single product line over many shivery cold decades, for everyone. In light of the sarcastic twist that this article has just been given, would you still expect that ‘free markets’ and the key insiders and institutions that favour them, to really deserve positive reputations? To answer this question, we need to journey back to the field-testing stage of ‘free markets’ to reveal the core, unacknowledged ‘thoughtcrimes’ that underpin the ideology that was used to promote this ‘economic’ framework: neoliberalism. To make sense of the phenomena that we will likely encounter on this journey, which will start in the olden days of the mid-1960s to the mid-1970s, we need to pack a dictionary. 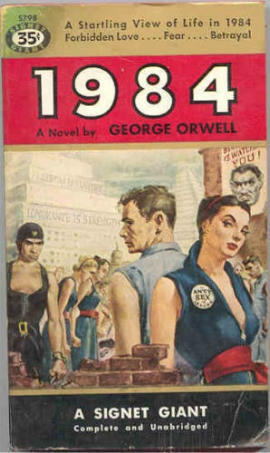 Room 101: At the end of Nineteen Eighty-four, George Orwell provides additional explanation of the workings of his dystopian world and a dictionary for the new official cleansed language, Newspeak. These appendices are best read first. The word thoughtcrime is familiar to old-fashioned people who still read books and in this case, novelist George Orwell’s 1949 book, Nineteen Eighty-Four. The novel is set in the dystopian world of Airstrip One (formerly England), which is a province of Oceania, one of three super-states. 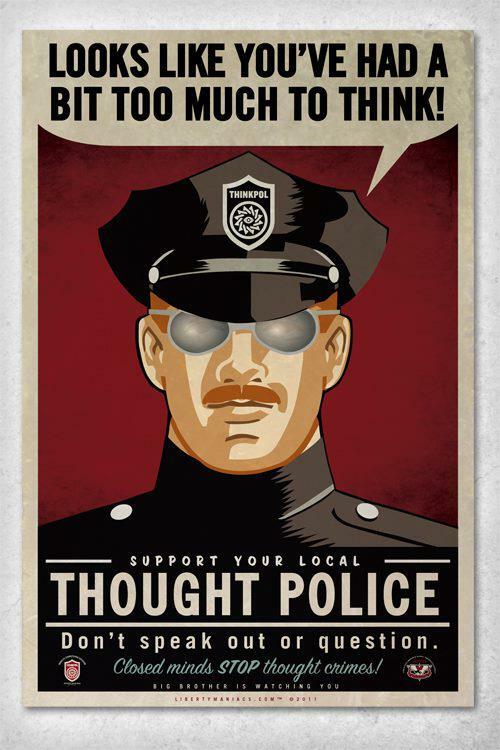 In Oceania, a thoughtcrime is the criminal act of holding unspoken beliefs or doubts that oppose or question the Party, which is a totalitarian group that controls the political, economic and cultural resources of the super-state on behalf of unseen oligarchs. In the real world of today’s ‘free market’ era, ‘thoughtcrimes’ are rising despite efforts in ‘thought control’, conscious or otherwise, by missionaries of the global media. Scholars and independent-minded journalists (or ‘thought criminals’) who are critical of the cover story used to market ‘free markets’ have identified its underlying ideological construct, called neoliberalism. As a packaged set of claims, neoliberal ideology differed from its former incarnation, liberalism in one major respect. Exponents of liberalism in the coal-smoke filled days of the nineteenth century promoted the idea that individuals were inherently good, while maintaining a negative view of society, and claimed musket and canon-weilding states were even worse, because they existed to coerce individuals, communities and institutions. While neoliberalism reinvigorated these beliefs in the exhaust-fume days in the late 1970s (and throughout the 1980s), it did so with a woeful depiction of how the Welfare State had become an unbearable financial burden on societies all over the world. Ostensibly, the Welfare State had been instituted as a necessity to relieve the deprivation wrought upon societies by the wealthy by means of the Great Depression. In the United States, it worked as a way to formally consolidate a citizenry of state citizens into one political unit, as federalized American citizens, through the Social Security System. Which one of these things isn’t quite like the others? 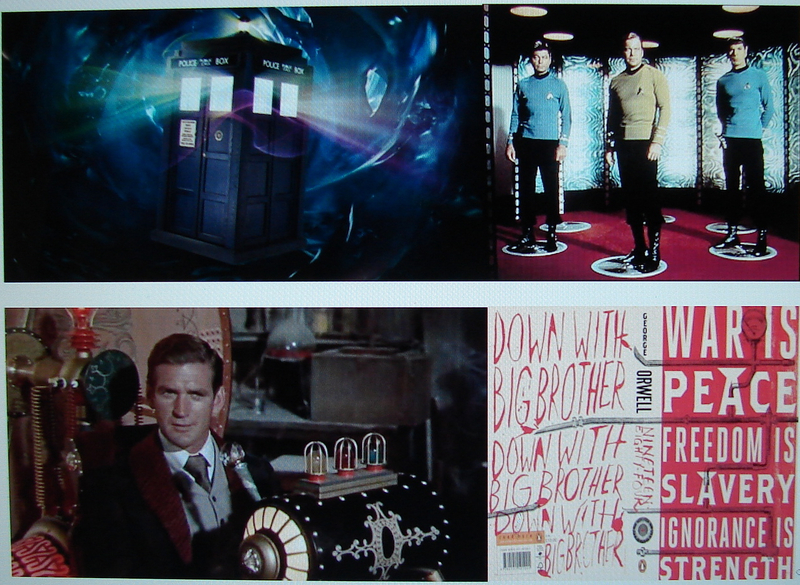 Counter-clockwise: Star Trek‘s tele-transportation portal; Dr. Who‘s Tardis; an old school time machine in The Time Machine; or, George Orwell’s novel Nineteen Eighty-four? The truth is, the world’s major news outlets, or the Global Media Complex, will not explore the ‘black hole’ mentioned in the ‘directions for use’ above. They will not even take the perilous journey involving time-travel, even though the swish gadgetry distracts the mind from the danger. Even if they had space physicists to call upon, the major media outlets still would not investigate this black hole. Our imaginary space physicists have called this black hole the Great Milky Way Memory Hole and have determined it is comprised of dense historical context plasma. To help manufacture consent, Planet Earth’s public was sold the made-for-media catch-phrase – the ‘trickle-down effect.’ This wryly encoded promise – that the benefits would materialize for the world’s public – was predicated on the notion that the rich were needed in order for societies to prosper. Thus, some of the wealth of the rich – under the proposed ‘free-market reforms’ or ‘shock treatments’ – would ‘trickle down’ to society at-large. As with dripping taps, the amount and interval would be regulated by the market’s ‘Invisible Hand’, which was a euphemism for an oligarchy and their army of unseen professionals, who have constructed a Worldwide Financial-secrecy Haven Complex. Oligarchs are super-rich people who use their enormous wealth to influence the politics of society. At the superficial level, news outlets manufactured the idea that in a ‘free market’ system, where government intervention was prevented, the Invisible Hand would price goods and services efficiently through rigorous competition. Caught blue-handed! An Invisible Hand, captured by infra-green photography, renders the ‘shadow-selves’ of the transnational capitalist class invisible. However, a highly-networked North Atlantic capitalist class used private political mechanisms to ensure that wealth accumulated upward, so that there was only just enough income trickling-down to avert rebellion. Meanwhile, fees for ‘public’ services increased, even as the universal tax system remained in place. As such, this article’s title, ‘Code Purple’, signals an emergency. (*See Editor’s note below). Since the mid-1970s, the North Atlantic capitalist class (now transnational in scope) has pursued a global neo-colonial project, by stealth. Under this project, ‘free markets’ were promoted with propaganda that promised freedom and prosperity for all. As numerous investigators have shown, such as Alistair Barry (1996); Bryan Bruce (2013); Michel Chossudovsky (2003); Steve Edwards (2012); Jane Kelsey (1997); Naomi Klein (2007); and Michael Rowbotham (1998); neither of these promises have eventuated. The intention of the super-rich all along was to increase their wealth and power, and, in the process, address a number of crises that emerged in the late 1960s. One major crisis was a crisis of declining profits rates for transnational corporations. A second major crisis was the ‘counter-cultural revolution’ that appeared in the 1960s. A third major crisis occurred at this time when the perpetually ‘developing’ countries demanded Western technology so they could ‘develop’, as a ‘fair trade’ for having supplied the raw materials for the ‘long post-war boom’. The North Atlantic capitalist class regarded these last two crises as an affront to their perceived right to permanently rule the planet. The North Atlantic capitalist class embarked on a ‘war of position’, as William Carroll reported in his book, The Making of a Transnational Capital Class. To ensure they won this ‘war of position’, or an ideological ‘battle of ideas’, the neoliberal movement followed a stratagem espoused by the sect’s leading proponent Milton Friedman, a professor of Economics at the University of Chicago. Friedman favoured a ‘shock therapy’ approach, as encapsulated by his mantra: “speed, suddenness and scope”. 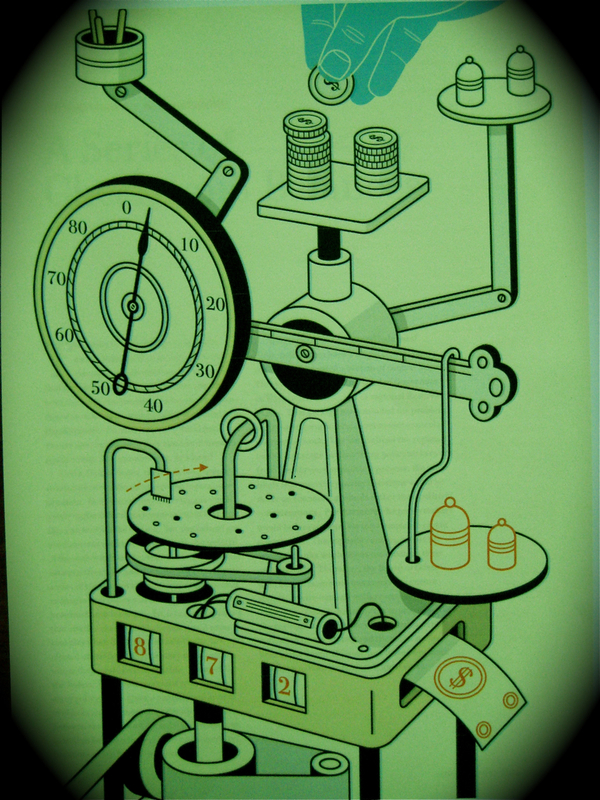 ‘Free market shock treatments’ included lifting financial controls to increase the fluidity of capital flows between countries, the corporatization and privatization of state infrastructure and services, the introduction of user charges, shifting the tax burden ‘downward’, and down-sizing public sector employment. Targeted populations were overwhelmed with the economic shocks as whole sectors of society were transformed and coerced to support the new framework. In this way, a structured set of ‘new enclosures’ were designed to absorb the needs, values and aspirations of pesky, disobedient, ordinary mortals. The Shock Doctrine is the denied part of the global neo-colonial project. During the field-testing stage of ‘free markets’ in the mid-1960s to mid-1970s, US-backed terrorism was required to clear opposition for the ‘free market economic shock treatments’ that followed. Five countries – Brazil, Indonesia, Chile, Uruguay and Argentina – pursued a developmentalist economic framework and were all subjected to military juntas and/or CIA-backed coups. The free market economic shock therapies were themselves mechanisms of coercion, because all sectors of society were thrown into crisis. Everyone suffered, except key insiders, who became richer and accumulated more political power. As Nitzan and Bichler argued in their book, Capital as Power, dominant capitalist coalitions will pursue a ‘strategic sabotage of society’ to maintain their power. Historically, the capitalist class will do this when their rates of capital accumulation decline amid rising wages and salaries. By undercutting the capacity of society, especially the middle class, to develop the means to construct resilient, autonomous communities, the super-rich practice oligarchic wealth defence. Shock Treatments: Embedded in the ‘free market’ economic framework is the exploitation of “speed, suddenness and scope”. Beginning in the early 1970s, a blueprint to transform the world with a ‘free market’ framework called the ‘1980s Project’ included stratagems to undermine democracy and the counter-cultural movements that emerged in the 60s. Elite planners resolved to encourage political apathy, as ‘governance crisis’ literature of this period makes evident. From their perspective, there was a ‘Crisis of Democracy’ because there was too much participation from ‘below’. The 1980s Project, which was sponsored by a New York-based global policy shaping think tank, the Council on Foreign Relations, sought to preserve as far as possible the dominance of a Trilateral World, which was the United States, Europe and Japan. Forty years on, so-called ‘free and open societies’ typically have a ‘Look, Don’t Touch’ democracy, wherein systemic political apathy has taken root. As is made clear in Naomi Klein’s book, The Shock Doctrine (2007); in Noam Chomsky’s book Failed States (2006); and Eugene Jarecki’s documentary Why We Fight (2006), the United States continues to use military violence, or terrorism, to deliver the ‘freedom’ of ‘free markets.’ This situation has been sustained by excellent satirist-generated propaganda posing as news (reproduced by the Global Media Complex), which keeps a significant fraction of the population confused, misinformed and naïve, while conditioning them to believe they are well-informed. Ignorance is Strength? Global Media Missionaries valourize distraction as a virtue. Disturbingly, American journalist Chris Hedges has reported a corporate totalitarian core that thrives inside a fictitious democratic shell. This core yields an inverted totalitarian state that few recognize because it does not look like the Orwellian world of Nineteen Eighty-four. This corporate totalitarian core is spreading outward from America. In essence, a corporatized totalitarianism is driving the construction of a worldwide technocratic system. A technocracy is an economic system that exploits technology as a means of social control through the allocation of energy and resources rather than the market price system of cartelized monopoly capitalism. The construction of this global superstructure was embedded into the “1980’s Project”. Exponents of free markets disparaged the Welfare State as centralized planning, with obvious reference to communist states. Meanwhile, the 1980’s Project Blueprint for ‘free markets’ simply re-versioned trade-quotas with new technocratic parameters driven by cartels of transnational banking, industrial and communications corporations. Financial crises were used by a global banking cartel as ‘change mechanisms’ to coerce governments to implement these re-versioned trade quota systems under the auspices of ‘free markets’. This highly centralized form of coercion, known as ‘speed politics’, had the intention of overwhelming the resistance of nation state populaces, while accelerating the implementation of technologies to build the new world technocratic order. In other words, financial discipline was embedded into the new technocratic systems to ensure entrenchment of vast cartelized transnational corporations and the permanent supremacy of a transnational capitalist class. To ensure the durability of the global neo-colonial project, elite planners used a strategy known as new constitutionalism, which was designed to lock-in changes and take them beyond the reach of indigenous and nation state immigrant-settler populations. Under a new constitutionalism framework, nation state sovereignty is transformed into a commercialized form of sovereign rule-making that occurs in an international arena. The intention is to favour the property rights of the super-rich, whose wealth is protected in a state-sponsored, worldwide Financial Secrecy Haven Complex. Ironically, within such secret spaces, the politically and economically powerful can create shadow selves that exploit labyrinthine trusts, shell corporations and private banks. With jurisdictional protection constructed by the four major accountancy firms, and a myriad of conspiring law firms and major banks, the worldwide Financial Secrecy Haven Complex works as an effective super-weapon to wage global-scale economic warfare. Because key insiders from the world’s major and significant governments are involved in this project to ‘royalize’ the transnational capitalist class, we cannot call the authorities for help. Hence, the term, ‘Code Purple’, since the colour purple signifies royalty. Where once cheesy over-simplified emergency red alerts were limited to children’s TV programs, in the likes of The Thunderbirds, since 9/11, elevated terror threats have become embedded in the American peoples’ consciousness through the use of televised colour-coded warnings. Such terror alerts mask the military violence used to spread ‘free markets’ by the world’s major and significant powers, including USA America. 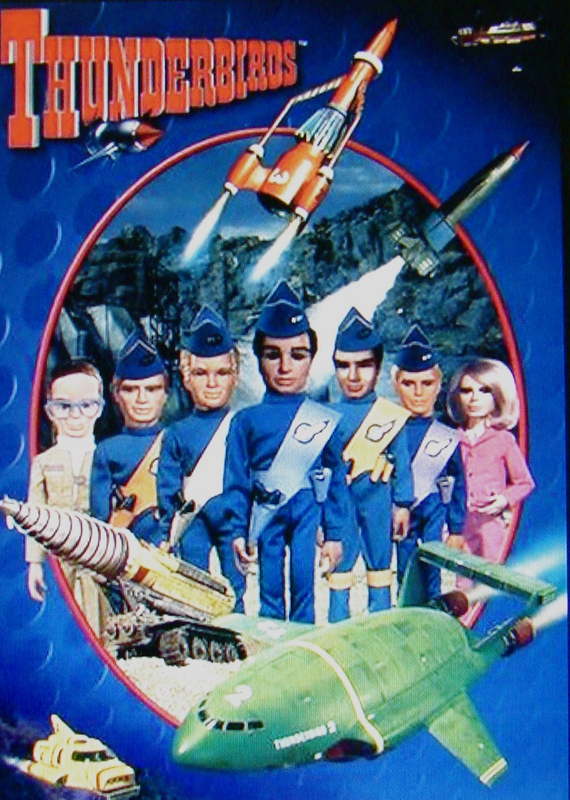 Code Purple: Cheesy colour-coded terror alerts like those seen on The Thunderbirds became commonplace on USA American TV news after 9/11. If it becomes common knowledge that key power institutions have been manufacturing consent for projects that have a hidden purpose, societies would rightly revolt against the authorities. Mutiny in public and private institutions has become necessary to ensure that key insiders who have conspired and colluded to gain more political power and economic wealth, respectively, are redeployed to those institutions most suited to their words, deeds and ethos: the prisons of the world’s Incarceration Complex. It is also crucial that land reform occurs on a mass scale, because without the redistribution of vast tracts of land held by the minority super-rich populations or oligarchies, communities the world-over will lack the economic means to pursue politically decentralized, self-determining communities. 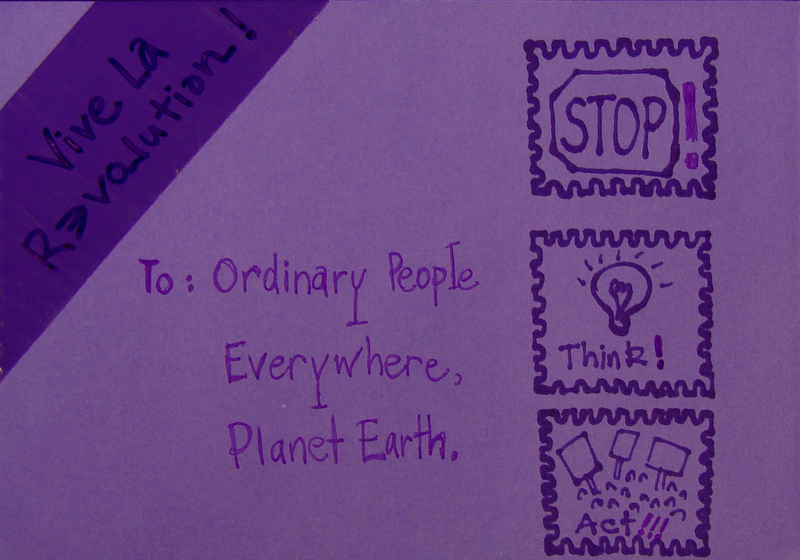 Mass land reform would take a global-scale, organic, peaceful revolution. As Jeffrey Winters observed while researching his book Oligarchy, oligarchs have been remarkably resilient over millennia to avert mass land reform. Code Purple Alert! Vive la Revolution! Don’t expect to catch-out reporters, news anchors and editors from the world’s major media outlets admitting that they had gotten it so wrong all along. That is, perhaps, until the revolution’s success has not simply become inevitable, but is accomplished. Stage one of the revolution I am writing about is the most crucial ever attempted outside human history. It is the mutiny happening in small subtle ways in your mind. It is the rebellion against your conditioned world-view. This revolution is one that will not be televised. Not simply because it is too private for the US National Security Agency to pry into. Rather, it is too dangerous to broadcast, lest others become curious, spontaneous and emboldened to rebel too. The truth is, the world’s major news outlets fear the dark matter known to imaginary space physicists as historical context plasma. The new missionaries of global capitalism also fear the idea of mass populaces opening their minds to new fun-loving creativity, gracious dignified community-building work and compassionate loving acts of rebellion. They are also uninterested in its promotion because the formative moments of such personal journeys are problematic to film for tele! * Editor’s Note: It is not intended that the ‘Code Purple’ referred to in the title to be taken as an endorsement of the ‘color revolutions’ that have and continue to take place around the world. The US-led North Atlantic Alliance has been funding, training and resourcing groups in jurisdictions not under its control to create what appears to be grassroots uprisings in order to topple ‘insubordinate’ governments. Such ‘uprisings’ as the Arab Spring have been called ‘color revolutions’ because a color is chosen for flags, banners and clothing to manipulate perceptions and emotions by manufacturing the image of widespread solidarity, as Thierry Meyssan has identified. Pattel, Raj. (2013). Stuffed and Starved: From Farm to Fork – The Hidden Battle for the World Food System. Portobello Books. Quigley, C. (1966). Tragedy and Hope: A History of the World in Our Time, p.37. New York, NY: The Macmillan Company. Orwell, G. (1993). Nineteen Eighty-Four (5th ed.). London, England: Compact Books. (Original work published 1949). Kelsey, Jane. (1995). The New Zealand Experiment: A World Model for Structural Adjustment? Pluto Press. Chossudovsky, M. (2003). The Globalization of Poverty and the New World Order (2nd ed.). Montréal, Canada: Global Research Publishers. Kelsey, Jane. (1995). The New Zealand Experiment. Klein, Naomi. (2007). The Shock Doctrine: The Rise of Disaster Capitalism. Camberwell, Australia: Penguin Books. Rowbotham, M. (1998). The Grip of Death: A Study of Modern Money, Debt Slavery and Destructive Economics. Charlbury, England: Jon Carpenter. Chossudovsky, M. (2010a). The Global economic crisis: An overview. In M. Chossudovsky & A. G. Marshall (Eds. ), The Global Economic Crisis: The Great Depression of the XXI Century (pp. 3-60); Roper, Brian S. (2005). Prosperity for All? Economic, Social and Political Change in New Zealand Since 1935. Albany; New Zealand: Cengage Learning. Klein, Naomi. (2007). The Shock Doctrine. Carroll, W. K. (2010). The Making of a Transnational Capitalist Class: Corporate Power in the 21st Century, p. 205. London: Zed Books. Looking back on how the neoliberal rationalist paradigm came to be the dominant ideology of our time, BBC filmmaker Adam Curtis found in his 2007 documentary series, The Trap: Episode II, The Lonely Robot, that this ‘battle of ideas’ included the new language and thinking of a technocratic elite. Rationalism here means a methodological pattern of thought that is self-justifying, un-rooted to ethical considerations and which advocates efficiency based on a ready supply of answers that express no doubt (Saul, 1993). The regime of the neocolonial sect redefined workers as human resources and human capital that would perform to ‘numbers’ to fit with the ideology’s central demand: efficiency. Klein, Naomi. (2007). The Shock Doctrine; Snoopman (2013, August 31). A Poorly Understood Bargain. Klein, Naomi. (2007). The Shock Doctrine; Whitecross, M & Winterbottom, A. (Directors) & Eaton, A. (Producer). 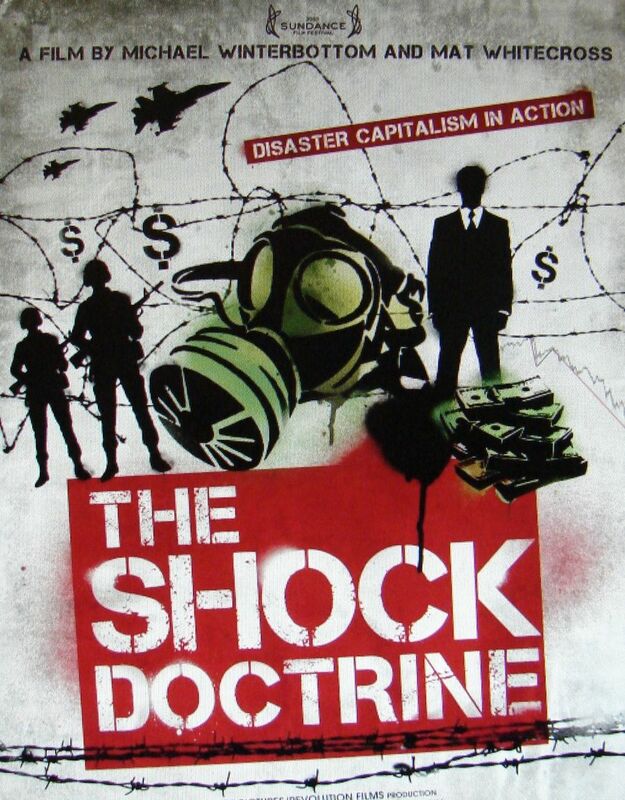 The Shock Doctrine 2009 [Motion picture]. A Renegade Pictures/Revolution Films Production. Retrieved from http://www.youtube.com/watch?v=7iW1SHPgUAQ. Shoup, L. H. & Minter, W. (2004 ). Imperial Brain Trust. Chomsky, N. (2006). Failed States: The Abuse of Power and the Assault on Democracy. Crows Nest, NSW, Australia: Allen & Unwin. Engdahl, F. W. (2009). Gods of Money: Wall Street and the Death of the American Century, p. 273-378 Wiesbaden, Germany: edition.engdahl; Estulin, D. (2009). The True Story of the Bilderberg Group, 137-147. (North American Union ed.). Walterville, OR: Trine Day LLC. Perloff, J. (2008). The Shadows of Power: The Council on Foreign Relations and the American Decline, 154-166. Appleton, WI: Western Islands. Originally published in 1988; Shoup & Minter 1977: Imperial Brain Trust, p. 254-281. Edwards, Steve. (2013). It’s the Financial Oligarchy, Stupid: A study of Anglo-American news coverage during the 2007-2008 financial crisis and bank bailouts. AUT University. Retrieved from http://aut.researchgateway.ac.nz/handle/10292/5536; Wilson, E. (2009). Speed/pure war/power crime: Paul Virilio on the criminogenic accident and the virtual disappearance of the suicidal state. Crime, Law & Social Change, 51, 413-434. doi:10.1007/s10611-008-91687; Wilson, E. (2010, February). Crimes against reality: The global credit crisis, simulation, and criminogenic cyber-capitalism. Paper presented at the International Studies Association Annual Convention, New Orleans, LA. Retrieved from International Studies Association website: http://convention2.allacademic.com/one/isa/isa10/; Wilson, E. (2011). Criminogenic cyber-capitalism: Paul Virlio, simulation, and the global financial crisis. Springer Science+Business Media. doi: 10.1007/s10612-0119139-7. Gill, S. (1998). New constitutionalism, democratisation and global political economy; Gill, S. R. & Law, D. (1989). Global hegemony and the structural power of capital. International Studies Quarterly, 33: 475-499; Gruber, L. (2000). “Ruling the World: Power Politics and the Rise of Supranational Institutions.” Princeton, NJ: Princeton University Press. Palan, R., Murphy, R., & Chavagneux, C. (2010). Tax Havens: How Globalization Really Works. Ithaca, NY: Cornell University Press; Shaxson, N. (2011). Treasure Islands: Uncovering the Damage of Offshore Banking and Tax Havens. New York, NY: Palgrave Macmillan. Winters, J. A. (2011). Oligarchy. Hutchinson, F. (1998). What Everyone Really Wants To Know About Money. Charlbury, England: Jon Carpenter. SEE ALSO: Hutchinson, F., Mellor, M, & Olsen, W. (2002). 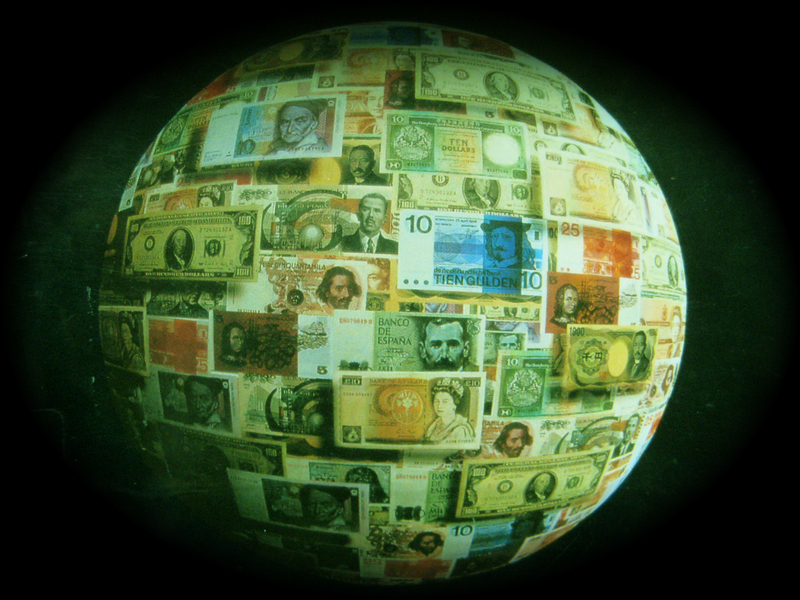 The Politics of Money: Towards Sustainability and Economic Democracy. London: Pluto Press.